Internal and external combustion engines are two types of heat engines: they convert thermal energy into mechanical energy. The main difference between internal and external combustion engine is that in internal combustion engines, the working fluid burns inside the cylinder, whereas in external combustion engines, combustion takes place outside the cylinder and heat is then transferred to the working fluid. In an internal combustion engine, the working fluid consists of a combustible fluid placed inside a cylinder. Four-stroke Diesel and petrol (gasoline) engines are internal combustion engines. In these engines, the fluid undergoes combustion inside the cylinder and expands. The expansion pushes a piston which is attached to a crankshaft and produces motion. There are small differences in the operating principles between petrol engines and Diesel engines: the petrol engine follows the so-called Otto cycle whereas the Diesel engine follows the Diesel cycle. The Diesel engine also does not use a spark to produce combustion, and it is more efficient than a petrol engine. 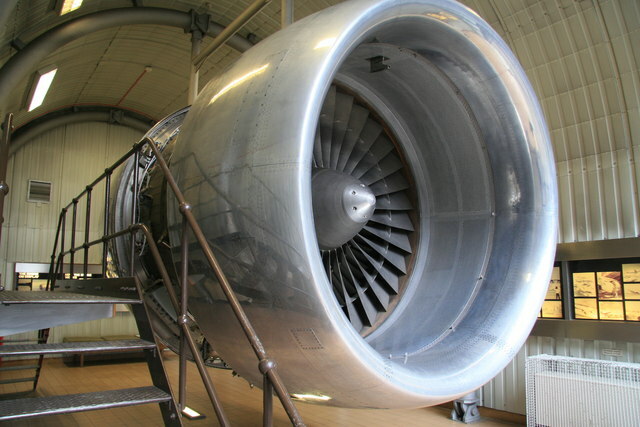 Gas turbine engines (not to be confused with steam turbine engines, which is a type of external combustion engine) used in aircraft is also a type of internal combustion engine. Here, a compressor takes in air from the atmosphere and compresses it down to high pressures. Fuel is added to pressurized air and ignited. This air moves through a set of turbines, causing them to rotate. Eventually, the air leaves through an exhaust. In an external combustion engine, the combustion takes place outside the cylinder. Heat then needs to be transferred to the cylinder where work is done. Steam engines are an example of external combustion engines. In steam engines, the water is boiled in a container, producing steam. The steam then expands and travels through a set of tubes, eventually arriving at the piston, which is situated elsewhere. 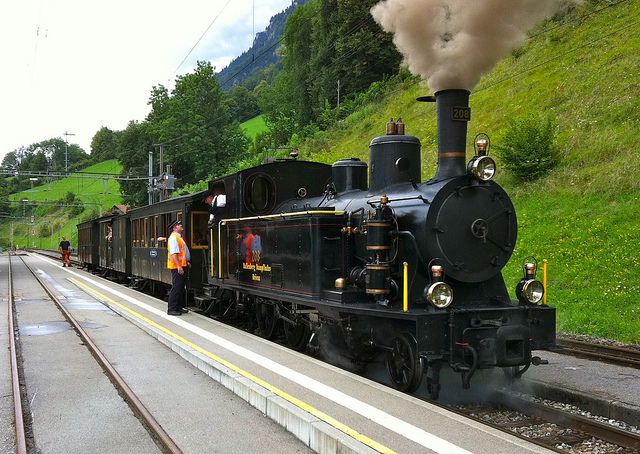 Steam engines were used to power vehicles in the past, steam trains being an obvious example. However, with the advent of Diesel engines, steam engines fell out of use. This was because the energy losses in steam engines are comparatively much greater. A significant amount of heat is lost on the way from the boiler to the piston. Steam engines are also quite bulky, giving them low power-to-weight ratios. Today, steam engines are commonly used at power stations. Stirling engines are another type of external combustion engines. These have a low power-to-weight ratio as well, however theoretically, they should be able to reach high levels of efficiency. A lot of research is being done to see if actual efficiency of these engines could be improved. Since Stirling engines could theoretically use any power source, they may also have a great deal of potential in the future when renewable energy sources would be in wider use. In internal combustion engines, combustion occurs inside the cylinder containing the working fluid. In external combustion engines, combustion occurs outside the cylinder. The heat needs to be transferred into the working fluid separately.